My adventures in the pretend world. I am a bit behind in my posts, but it has been a busy last couple of months. Let me fill you in on the biggest event that happened this Fall. 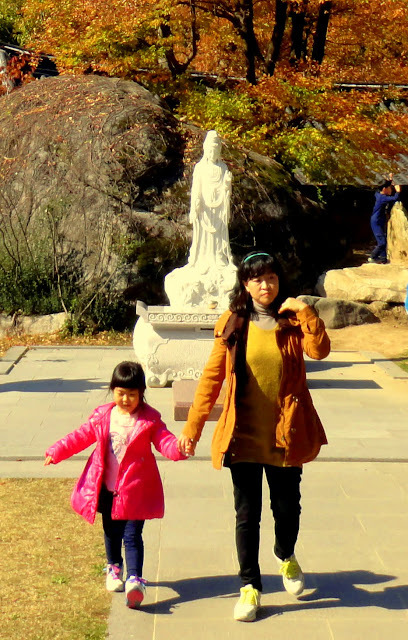 On November 3, +Jackie Masar and I went apple picking with Adventure Korea. 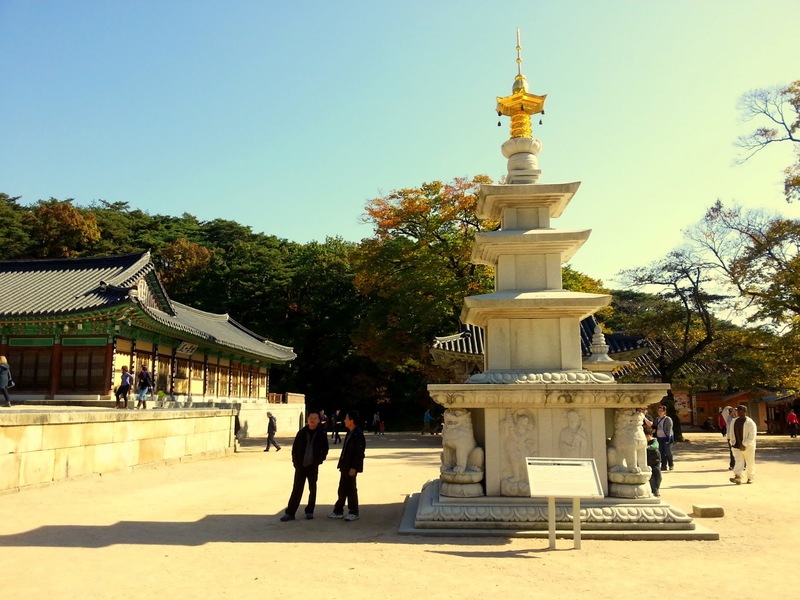 The great thing about Adventure Korea is they pick out awesome things to do the whole day, and this trip was no exception. We were also able to experience a 1,500-year-old Buddhist temple. The day began early as Jackie and I picked up some coffee and pilled onto one of the buses. The sun rose as we drove out of town. After a stop at a rest area, we continued on for a total of a couple hours drive through the countryside. 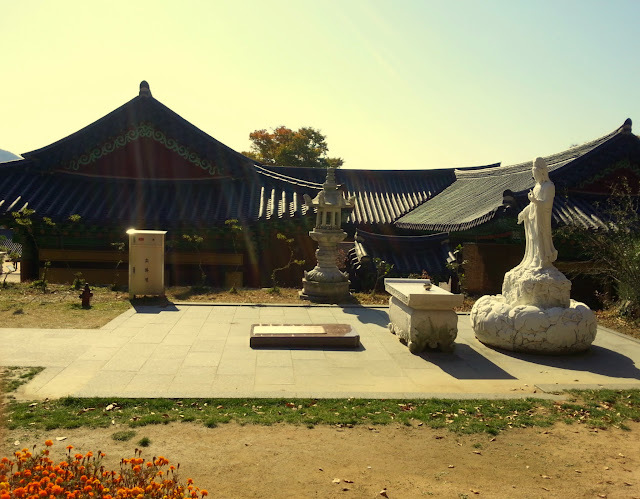 Once we arrived at Sudeoksa Temple, we were on our own. We walked around the complex, taking photos and just generally exploring everything. Monks walked around as well. The temple has a couple of indoor places where you can look in but not walk inside or take pictures. We respected those rules. People were praying inside those couple rooms. Everything outside was free reign though. And there were plenty of things to take photos of. The walk up to the temple is scenic and full of trees. Once you are at the temple itself, you are in the mountains and have a great view. All the buildings and sculptures are beautiful. The unfortunate part was the time of day we arrived there. The light was terrible for photos at that time of day. Oh well. We had a great time there anyway. The entrance to the temple complex. The leaves were just beginning to fall at this time. The design of a lot of these temple buildings were a bit intimidating. It would get crazier though. 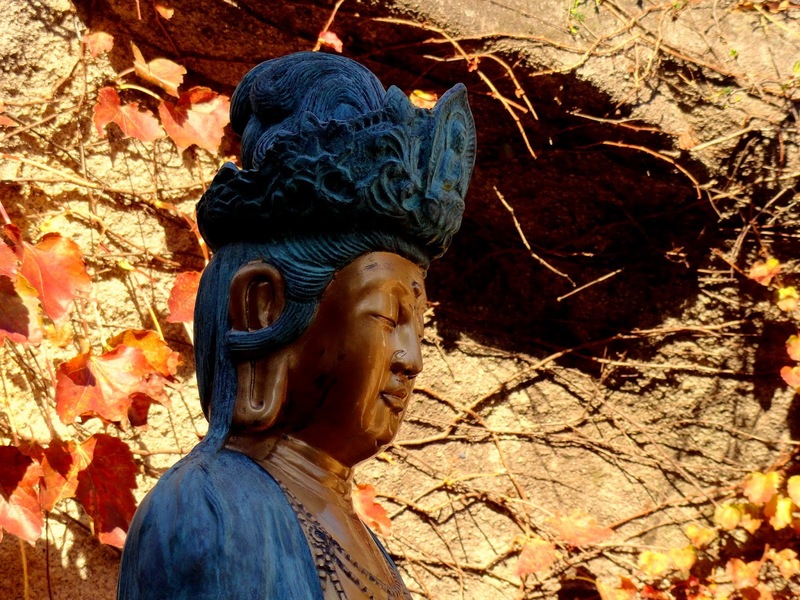 More Fall foliage at the Buddhist temple. The entrance to the temple's main area. Once inside, the temple allows a great view of the valley. At one point, we were just searching around for things before heading back, and I was face-to-face with a monk. No big deal really. But I smiled at him and he patted me on the back. I suppose it sounds funny, but it felt nice, as if I was not out of place here (something I have felt from time to time in Korea, and in life generally). The sun shined brightly off the gold tip. I did not mean to get this mother and daughter in the photo, but I like the way it turned out. If you have to pick a place to pray, this would be a good one. Everyone kept touching his belly. We still had a little bit of time and walked around some more, but eventually, it was time to head to the bus to go to the Apple Festival. A quick hike and a ton of photos later, we were ready to move on to apple picking! We were not allowed inside. People, including some monks, prayed inside. A short trek up a path and we would be there! A short ride later, we arrived at the parking lot to the festival. We were there to pick apples, but found out it was actually an apple festival comprised of jazz music and tons of apple oriented foods and events. I figured when I heard about the apple picking event, that we would be in a secluded place picking as many apples as we wanted. Actually, it was a good sized festival with so much more to do. We really lucked out on this trip! We were at the 9th Yesan Apple Wine Festival (with Seoul Soloist Jazz Orchestra)! First we had to decide what to do. That was a challenge. There were a ton of things to do. We decided to sit and listen to some music first. A group of Koreans, one man and three women, sang and yodeled. The man played guitar and one of the women played bells. It felt strange to see them dressed in such a culturally non-Korean way, or, should I say, it was awesome! The music was great too! They were very talented! Jackie and I need to dress like this EVERY DAY. The next group up was the Seoul Solo Jazz Orchestra. True to their name, they had many soloists just cold doin' solos! The orchestra played well and the soloists especially shined. I loved hearing live trumpet again. I miss playing. So much sun attacking my eyes! Luckily, I only need my ears to listen to the jazz. Hunger soon began to sink its claws into us, so we decided to grab something to eat. There were a few options: apple on hot dogs, beef with an apple-based sauce (not what we think of as "applesauce,"this was more like if you took A1 Sauce and used apple in the recipe), and a myriad of other apple foods. In addition, they had unlimited apple beer and apple wine. Some of our group got really drunk on both. It was pretty silly to watch one rather large gentleman turn completely red and begin shouting what he only wanted to speak in a normal voice. We ended up grabbing a hot dog and some beef. Both were tasty, surprisingly I would never guess that apple would go well with either dish. For desert, we took a mini-course on making our own apple pies. For a small fee, we were given all the materials and walked through a quick construction of the pie. We then gave it back to be baked. When we were able to pick it up 20 minutes later, we loved our little creations! Jackie eating pie and (probably) Instagramming the adventure. Unfortunately, it was a bit expensive to actually go pick apples. We instead walked through the field and looked at them. No big deal. We had so many apple things, we did not need actual apples! At the end of the field we found a campsite with a few tents set up. Around a campfire was a guy from our Adventure Korea group and the musicians from earlier, the yodelers and guitar player. They were teaching him how to yodel. Such awesome people! The band is no longer in their clothes, but we could hear them singing and playing guitar. Jackie is the best model ever! With time running out there were still plenty of things to do. We took a tour of the winery (and where the beer is made), watched an apple eating contest (an American won I think) and cooked up some apple jam (which we would later find out tastes great over vanilla ice cream). Each tent had different activities, some for kids too. This was at the end of the day, so most people began to leave. Eat those apples, ladies! USA! USA! USA! People cold getting drunk off apples. I guess they let the wine sit in there. Not too sure about the whole "making wine or beer" process. I'm not cool enough. And with that, we pilled back on the bus to head home. We stopped at the same rest area too. It was such a busy place inside at night. I guess the closer you get to Seoul the busier everything gets. And the record for number of times you can play "Gangnam Style" is.... The guy who runs this shop! America is never too far away when you are eating at Dunkin' Donuts. I did not even talk about it, but we met some great people on this adventure. Every time we have gone with a tour group, we have met nice people. 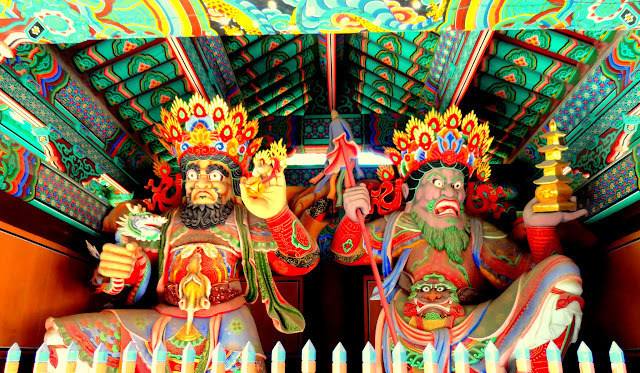 If you are in Korea as an expat, I recommend finding a tour group to go with. It is a near sure fire way to meet new friends. The next day, we woke up and went to the restaurant at our "hotel" for breakfast. It took some time to get it, but while we waited, we chatted up the staff and some of the other travelers. We were given ube to eat before our food arrived. Ube is a purple root that tastes great by itself. I loved it. Image via CrunchBase Well, one of the three actual people on my myspace top friends thing deleted his profile. That means there is a spot opening up! I don't like having people I don't know on there (even though Demetri Martin is hilarious, I don't actually know him) I will be taking applications for an undefined period of time until I find that new friend. It could be you! But it probably won't be because I expect millions of applications. 1) I like peanut butter cookies. If you can make peanut butter cookies or otherwise have some way of obtaining peanut butter cookies (i.e. you can murder a baker and steal cookies, or your mom can make 'em) that would be a good start. Each year I get two weeks of vacation, one in the summer, one in the winter. That does not seem like a lot, and it is not, but I enjoy my job anyway. However, I really needed this vacation. We had decided to check out Vietnam on the recommendation of one of Jackie's coworkers. He really loved the place. Over the course of the next few months, we started to set up our trip.